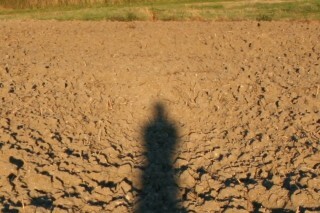 The opposition effect can show up on any surface where there are shadows from the irregularities. 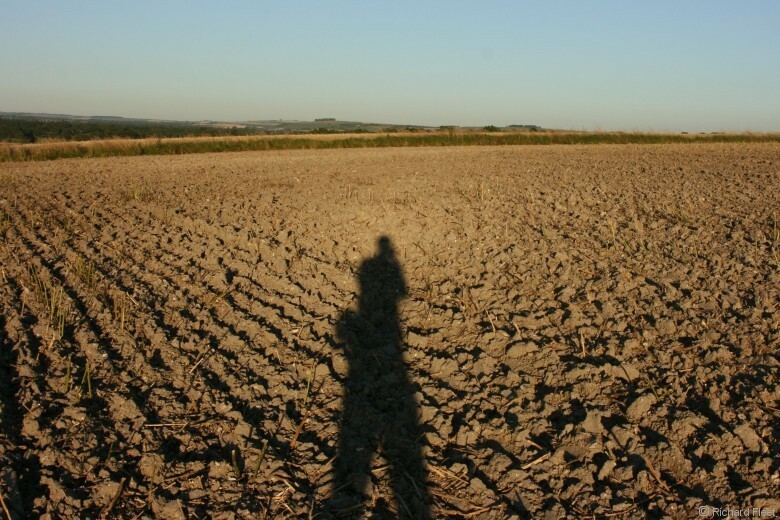 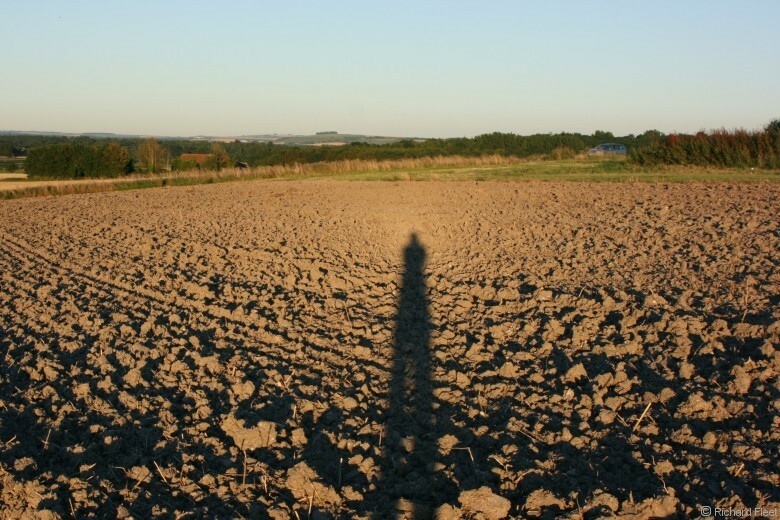 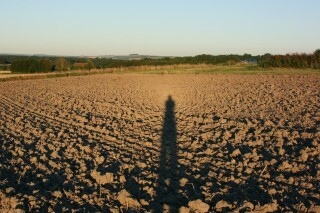 With a ploughed field the individual shadows are quite obvious, making it easy to see how the lack of shadow round the antisolar point makes that area brighter. 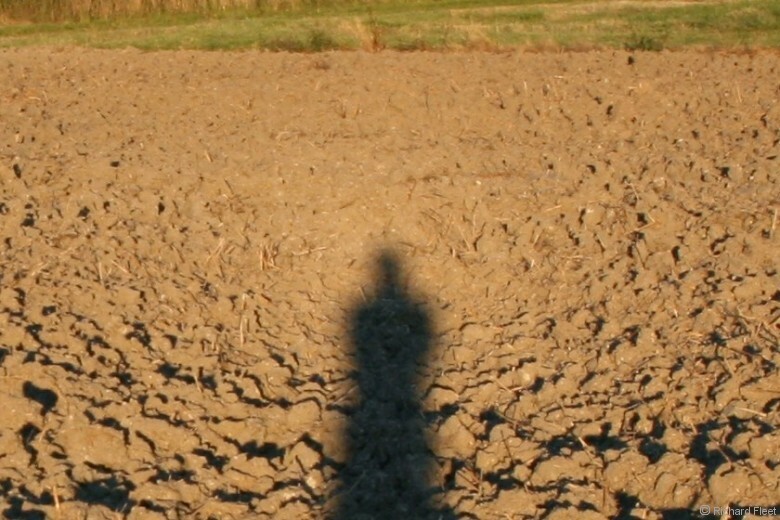 Below the antisolar point the lumps are soil are closer to the viewer so it is possible to see over the top and the shadows are visible nearer to the antisolar point. 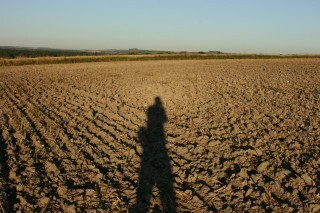 Above the antisolar point the more distant clods still hide their shadows so the bright area extends further upwards.